Christians around the world celebrate the Presentation of Jesus at the Temple on Candlemas Day. In some countries, Christians mark the day by removing their Christmas decorations. Its roots are found in the Biblical passage of Luke 2:22-40. Many Christians bring candles to their local churches to be blessed and then used throughout the year. 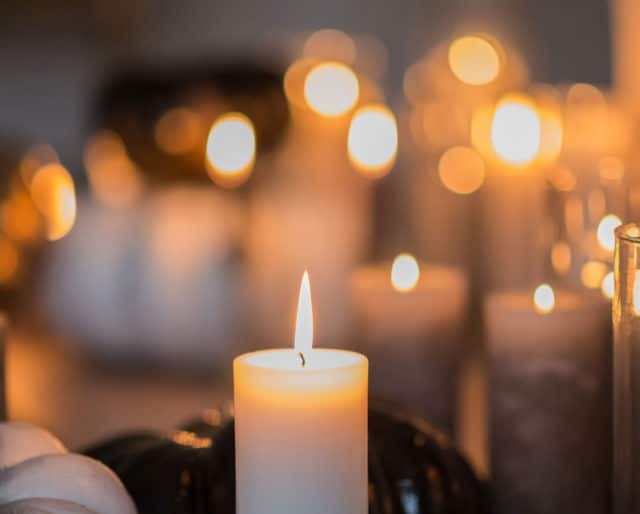 The candles represent Jesus’ command that his followers be “a light in the world.” Candlemas, on February 2, is marked by the Feast of the Presentation, also known as the Feast of the Purification of the Virgin Mary. The Archbishop of Canterbury banned candles on Candlemas Day because they were seen as superstitious. Candlemas pageants were held throughout the streets of Aberdeen, Scotland. Spanish conquistador Alonso Fernández de Lugo celebrated the first Candlemas dedicated solely to the Virgin Mary in the Canary Islands. Religious and non-religious alike can follow Jesus' command to be a "light in the world." You can be a light for goodwill, charity, or unselfishness. Use candles to remind yourself of this. Even if you're not religious, you might learn something new by attending a mass celebrating the Feast of the Presentation. We're all better off if we learn more about each other's passions, including our respective religions. Candlemas Day has a rich and fascinating history throughout the world. Learn why it's such an important day within the Church and why it continues to be commemorated. Candlemas Day is celebrated with a specific method of preparing crepes. Candlemas Day is celebrated with tamales. Bonfires and singing mark the end of Candlemas Day. Children roam the streets singing and hoping to receive a reward of candy or coins. It was first celebrated in the 4th Century AD, when the earliest sermons on the Feast were given in Jerusalem. The Roman consul Justin introduced the celebration to the Roman Empire in 521 AD. The Presentation of Jesus at the Temple is seen as confirmation of the miracle of the virgin birth, a key tenet of Christianity. It is the impetus for Mary becoming a key figure within the Catholic Church and celebrates purity. The Feast of the Presentation is celebrated throughout the world. In the city of Puno, Peru, for instance, Candlemas Day is marked by a "costume dance" featuring 20,000 dancers and 5,000 musicians.